New stories submitted by Care2 members. Most Noted will be promoted to the Front Page. What makes a top story analyst? A top analyst is someone who discovers the popular stories in Newly Submitted before they become popular—before they are promoted to the front page. The little green camera ( ) means the story has video. 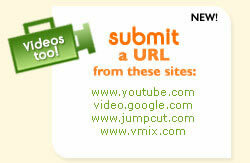 Seen a compelling video? Share it with the Care2 News Network. "I find I look forward to these every day. Thanks for sharing." "It is beyond ironic that the first “ruling” of the courts on the right of Congress to subpoena as they see fit, was a case in which it was obvious that Congress was harassing a group of GIs. But however low-down the motivation to subpoena was, the..."
"correction-----On The Global War On Christianity(and The rise of Islam) The war has been going on for 1500 years with no end in sight.Paris has become the most recent battleground,"